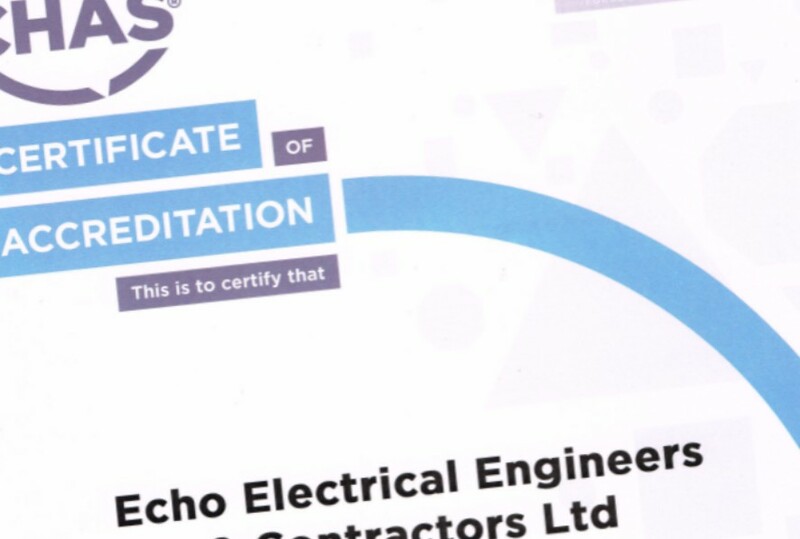 Echo are pleased to gain the CHAS (Contractors Health and Safety Assessment Scheme) Accredited Contractor award for another year, the third in succession. This scheme aims to improve health and safety standards across Great Britain. It assures employers and customers that the accredited company demonstrates compliance with and sound management of current Health and Safety legislation. It also reduces duplicate safety applications for both suppliers and buyers. CHAS is the largest and fastest growing Health & Safety Assessment Scheme in the UK, with a web-based user friendly database of suppliers.